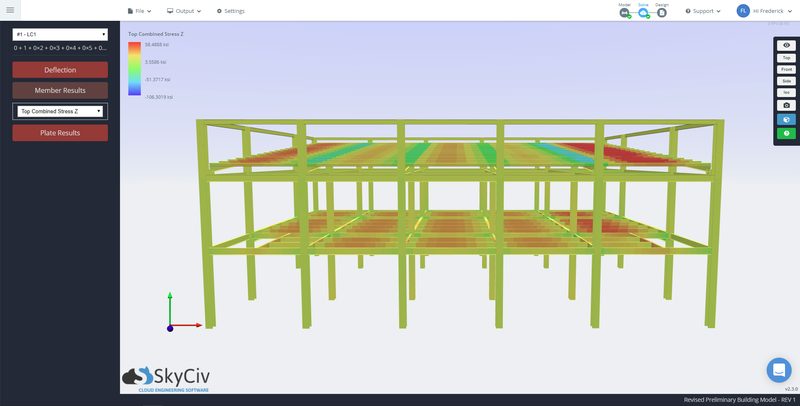 Structural 3D is a powerful structural analysis software that can model and analyze structures on the cloud. 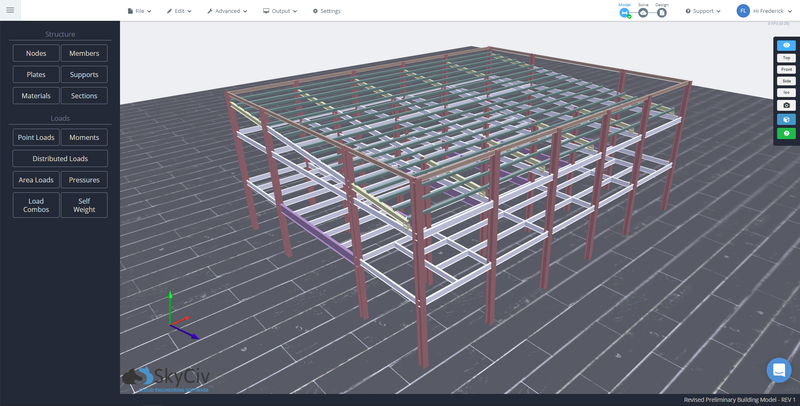 As a demonstration of this, we have a two storey steel structure modelled into Structural 3D. The structure has been exaggeratedly detailed, consisting of 284 nodes, 507 members and 9 load groups. 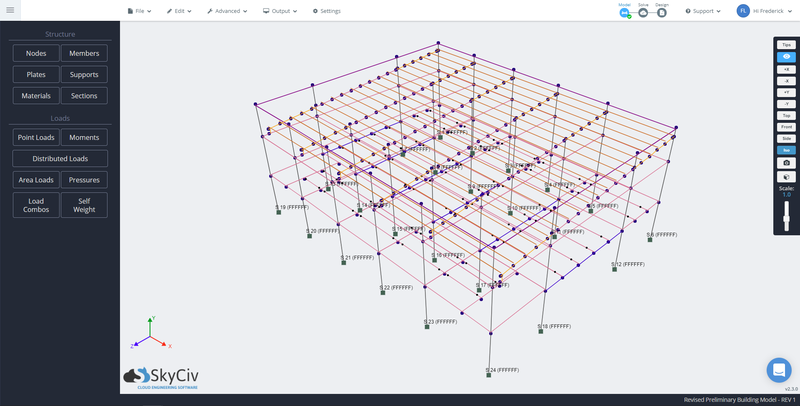 Every node in the model has been added with multiple point loads. 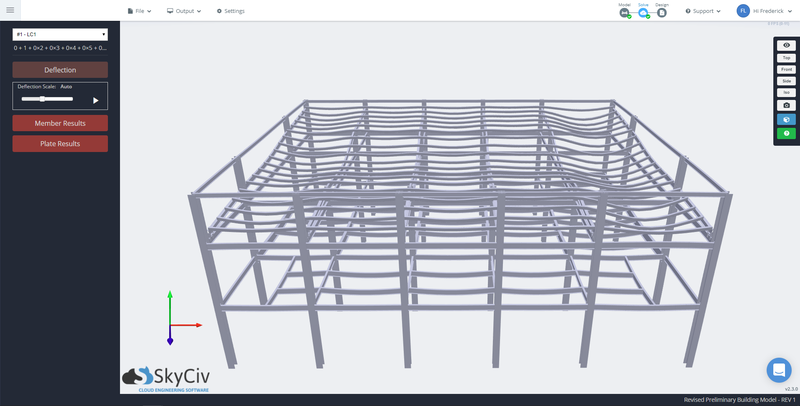 The structure seems to be most critically loaded at the purlins as can be seen in the rendered model with the stresses displayed, showing a stress of almost 60 ksi. The effect can be seen in the rendered model displaying the deflection, showing a ‘piano’ effect on the purlins. Such deflections can be mitigated with a sagrod at the midspan, though it is most effective when the slope of the roof is significant.